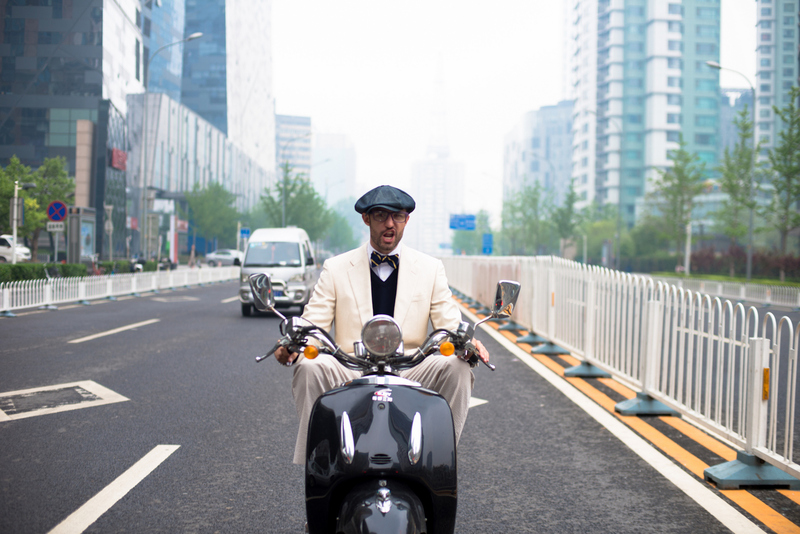 Andrew Dougherty, aka Big Daddy Dough, cruising the streets of Beijing, 2016. By day, Andrew Dougherty is a macroeconomist who manages a China research team for Capital Group, one of the world’s largest actively managed mutual funds. By night, he is Big Daddy Dough, creator of an album of parody hip-hop songs that explain various facets of the contemporary Chinese political and economic situation, from fixed-asset investment to leadership succession. On a recent trip to Beijing, Kaiser and Jeremy sat down with Big Daddy Dough to listen to some of his songs and talk about the serious issues he describes in a lighthearted way in his music.